Name Change Looming for SFA? At the risk of this post being relegated to the "Free For All" forum, I must point out the following: it's July, and this is a better use of our time than a haiku contest. If only "DocHughes" still posted on here...he would LOVE this. Ah, I've been gone but not forgotten I see!! Thanks for thinking of me, OT!! I do indeed love the infliction of chaos to SFA, even if my beef with them is about 15 years old!! Listen, I've been doing some thinking about this deal, and although I know he's not from Texas, I think it would be a wonderful idea to rename SFA David Hogg University. 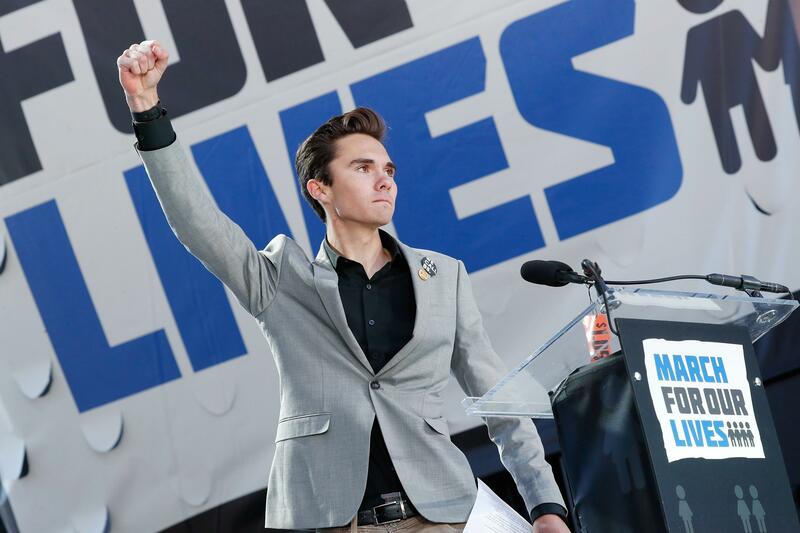 He's a good liberal kid, the kind that would represent the university well, and they could replace the statue of Austin with a statue of David Hogg in the pose he'll forever be known for. BTW, OT, like ORUTerry I have my sources, and they're EVERYWHERE. So don't say anything ugly about me because you think I'm not around. My sources WILL see it and let me know!! I don't really know the history of Stephen F. Austin's life to have a strong opinion but at first glance renaming the city seems a bit much. Confederate monuments on the other hand don't seem like things that should be maintained by the Federal Government... just my opinion. BOLD PREDICTION: By the year 2040, the White House will be disassembled and rebuilt (because it was originally built by slaves, some of whom died in the process from malaria and other diseases).